I’m Montgomery Markland, a producer on Wasteland 2. We’ve got three major items today. World Map, Early Beta and Rewards. Like Fallout or Arcanum, the basic experience on the world map is one of exploration and discovery. Your travel on the world map is limited by both physical geography and clouds of deadly radiation. Within those constraints, you can travel anywhere in the region depicted on the map. You have two alternative means of exploration while in this game mode. Primary exploration occurs in a 3D map that shows your immediate surrounding environment with representative scale and geographic features of the region. Significant locations, settlements and sites reveal themselves as you scout around. The 3D exploration is in the same style and pattern as Mount & Blade and Neverwinter Nights 2: Storm of Zehir. While in the 3D world map, you can press “M” to bring up a 2D map displaying the entire region. This 2D regional map automatically updates with locations you have either explored yourself, or have been informed of by another Wastelander. The regional map has been handed down from ranger to ranger over the previous century, each adding their own details to what was originally an old-fashioned roadmap from the 1990s. As you discover radiation zones they are marked on your map In Arizona, locations generally match their canonical layout from Wasteland 1. 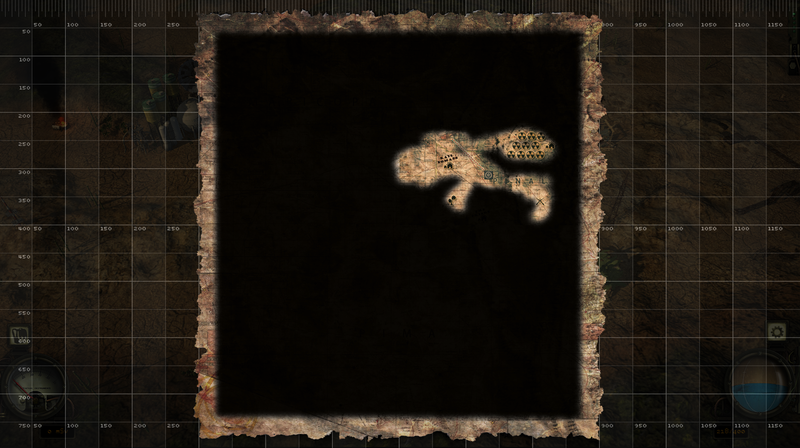 The map is filled with key locations you will discover through regular playthroughs; but significant sections of the map are side exploration opportunities. There is plenty of space to wander around, discover hidden resources based on your character’s build, fight random encounters and discover minor sites that may be explored in normal game mode. As you explore the region, you’ll discover three primary things on the world map: settlements, sites and resources. Settlements are major locations, such as Ranger Citadel and the Ag Center. Sites are minor locations such as an abandoned mine or a highway roadblock. Resources include oases where you can refill your canteen and hidden caches where previous Wastelanders have stored ammunition, weapons or other goods. Exploration is the primary activity; but survival will demand some attention as well. The Wasteland is a dangerous place, and there are several threats that can end your Ranger career prematurely. 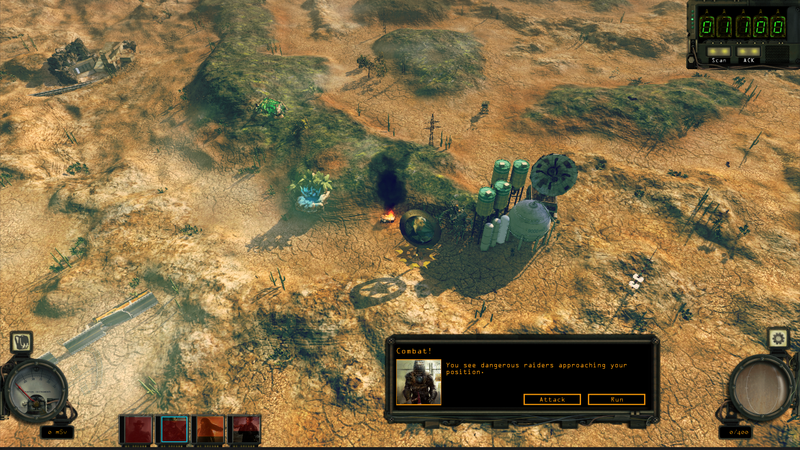 In Wasteland 2, water management is challenging and important. Your water supply is based upon the number of rangers in your squad and the number of canteens among them. Depending on the type of terrain you are traversing, your water supply is consumed at varying rates. Desert terrain requires the most water, while grassland and highland are more forgiving. If you run out of water on the world map, you do not immediately die, but over time your rangers will begin to take damage from dehydration. You will eventually die if you do not find a new source of water. Your Outdoorsman skill adjusts the overall water consumption rate as well as the length of time your squad can last without water before suffering from dehydration. You will find water at hidden oases throughout the region. Oases are discovered as you travel the 3D map; you will discover them from greater distances with a higher Outdoorsman skill. Like settlements and sites, oases will reveal themselves in the 3D world map as they are scouted. Other water sources are also available throughout the game, inside of major locations, such as Ranger Citadel and Highpool. These in-level water sources are automatically accessible if the level is a friendly location. Water sources in neutral or hostile locations generally require a mission or task to unlock. Once such a water source is available, it is always free. You'll want to pay attention to your Geiger counter. Clouds of deadly radiation, remnants from the war, drift throughout the American Southwest. Your Geiger counter measures the radiation level in your immediate surroundings in Sieverts (Sv). You will encounter varying levels of radiation. The lowest rad levels do not damage you, but rather warn you that higher levels are likely near. Damaging levels of radiation poisoning begin at 500 mSv and can reach exposure levels that are instantaneously deadly. Except in these extremely high doses, radiation will not immediately kill but it definitely packs a bigger punch than dehydration. Saving is recommended when exploring the unknown, far reaches of the region. Equipping your squad members with rad suits will allow them to survive certain levels of radiation. You can also upgrade your rad suit later in the game to a higher quality version to survive higher doses; but remember that there are pockets of radiation in The Wasteland that are at such high levels that no one can survive, regardless of a rad suit. Proceed carefully. You’re not the only survivors in The Wasteland. 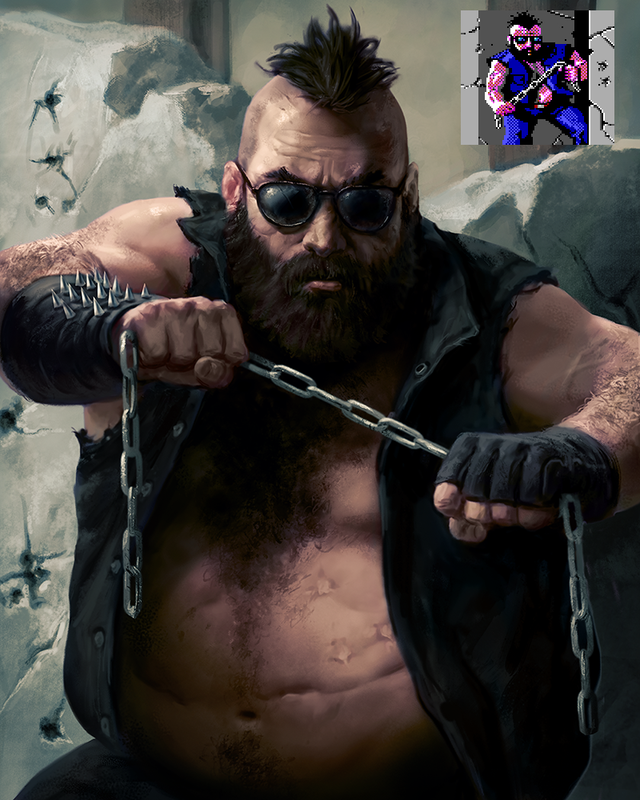 Our random encounter system will throw a wide variety of dangerous animals, mutants, raiders and robots at you. Encounter chances are based on an overall percentage depending on terrain type and the general level of danger in the zone you are travelling. Certain parts of The Wasteland are populated by particularly dangerous enemies. You are more likely to trigger high-level encounters while travelling in those areas. We do not conduct any form of level scaling in this regard; so if you wander off the beaten path you better be ready for a tough fight. When a random encounter begins, you will have the option to either attack or attempt to run away. Your chance to successfully flee the fight depends on your Speed, Luck and Outdoorsman skill. Random encounters draw from a wide pool of scenarios. 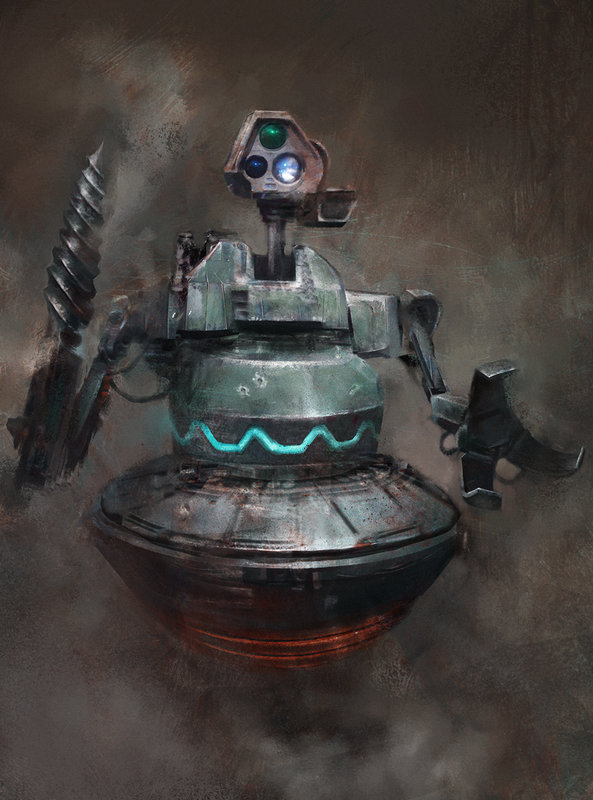 Animals, mutants, raiders and robots will attack from a variety of positions and depending on your skills and abilities your squad may possess the high ground, if any, or your opponents may begin in an advantageous position. Random encounter zones will match the terrain type you are travelling through and each terrain type has several different encounter layouts. Encounters generally consist of between one to six enemies, though that does not necessarily inform you of the difficulty; one Slicer Dicer will tear through your ranger squad well after you get to the point where six Supaflies are merely an inconvenience. Your rangers possess a variety skills to help you brave these many dangers. Outdoorsman is the most important for the world map, affecting water consumption, dehydration survival distance, scouting range for new settlements and sites, starting position for random encounters, your chance to run away from said danger, and more. Outdoorsman is the key skill for travel, but you will find uses for it in various other areas of the game as well. Luck is likely the second most important ability or skill while travelling on the world map. Luck impacts what kind of hidden caches you discover in The Wasteland and how much loot they contain, as well as your likelihood of escape if you try to run away from a random encounter. There are also certain resources and events on the world map that you will only be able to discover if you are extremely Lucky. Finally, Speed has obvious impact in relation to random encounters, as mentioned above, and several of your other abilities and skills will reveal hidden caches, high value items, unique encounters and undiscovered oases with greatly increased water supplies. As with all of the challenges facing a ranger on the wastes, we modulate difficulty according to your settings. We provide a specific Travel Difficulty slider, which controls the overall challenge of the world map as well as the level of hinting and signposting present in the HUD and on the map. In easy mode, navigating The Wasteland is simple and does not require much thought. In hard mode, a simple factor like water management can be brutal and challenging. Medium strikes a balance; challenging but with enough freedom to wander and explore. You’re all no doubt anxious to get your hands on the Early Beta and we’re anxious to get it to you! We’re now in the stage where we have distributed standalone copies of the Early Beta to a small group of external individuals as a test run. This is the final stage where we ensure it is up to our standards and runs on a variety of machines, and we’ll then be ready to get it to you. Early Beta will only be distributed through Steam, as called out in the original Kickstarter reward tiers. The final release will – of course – be available through a wide variety of channels; but running the Early Beta through Steam is the optimal option. Any other solution would require a non-trivial investment of resources into Early Beta distribution; we feel those resources are better spent on the general quality, stability and scope of the game. We’re seeing steady progress on the various rewards you’re due. 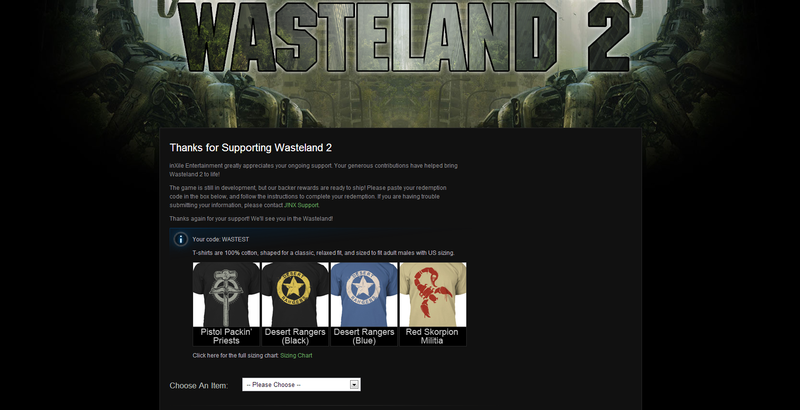 We’ve got specific information on Wasteland 1 and T-Shirts today. We’ll have more detailed information on other rewards, such as the coins, medals, patches and miniatures very soon. We noted back in Update 33 that Wasteland 1 would be getting a standalone release. First, we’re ensuring it runs on modern machines, higher resolutions, faster processors, and all that jazz. We’re also giving it some polish for rerelease including a Mark Morgan music track, integration of the original paragraph texts into the game, and optional paragraph voice over & uprezzed portraits (both of which may be toggled on and off). We've spent a very limited amount of time on the WL1 portrait uprezzes and if possible we'd like to open up the ability to customize the WL1 portraits to the community themselves. We’ve also added support for multiple save games – now you don’t have to wipe the game clean to start over. Wasteland 1 will be made available for free to all backers (including late backers as well as people getting it through the rewards associated with backing Torment: Tides of Numenera or Project Eternity), and sold as a separate title on GOG and Steam. Responses to the t-shirt survey have been processed and shirts will be shipping out very soon. We’re also switching to a new system for any t-shirt stragglers; you’ll receive a code on Ranger Center which you can redeem at the J!nx website. Thanks for reading. Thanks for backing. And thank you for your impending feedback and bug reports during the Early Beta. Jae Park, Brad Payne, and 284 more people like this update. Please be quiet, there are those of us who are willfully exercising the self control to not harangue an already busy development team with entitled whining. Or - at the very least - complain on a site that isn't FULL OF UPDATES YOU REFUSE TO PAY ATTENTION TO. P.S. - Mr. Fargo, please love me now. I rekon you guys are a bit behind..but hope we hear what's up in the next update. been lookin' forward to this for awhile! What happened to the October Beta. They said October for the beta release. When is that going to happen? There are barely 4 days left in the month!! Honestly: not that crazy about the 3D map. The art style is identical to the combat map. Is that brass disk in the middle part of the interface? It's clunky and confusing. The 2D map looks awesome. I'd rather we just traveled on that and save the very realistic images for the other 99% of the game. Why do some of the raiders have a color filter on the top of their portraits and others on the bottom? Everything else, water and radiation management, etc. sounds fanspastic! "Beware of Harry, The Bunny Master." Really wish somebody would say 'target date for WL1 = x'. Target date for beta release = y.
I like the radiation mechanic because it fits in very well with the setting and present a challenge that can be tackled as the player sees fit. I hate the hydration / dehydration mechanic. As this will likely affect large portions of the game and behave like a persistent drain on my ranger's "hydration" stat, it is going to be a dull chore to manage. I know we're going for an RPG with classical roots here, but occasionally there are good reasons some features are best off left in the 80s and 90s. I understand that to some this feature is the type of simulation they’re looking for in an RPG, but I would actually prefer an option to turn off dehydration completely (as a separate option from “Travel Difficulty”) if this is going to be included. I am in a tier where I am to get early beta access. How will I be notified as to how acquire my beta? I see it's to be through steam, which is fine. I'm curious as to if it will be in another project update email, direct email, or something else? And when do you anticipate this occurring? > However, I do agree with several other posters that it should be optional, as a lot of folks don't enjoy that sort of mechanic at all. I think the Travel Difficulty slider is just for that. Arcanum, loved that game and am very glad you referenced it for it's world map. If that were your next KS you'd have my money! @nukecoke : it may be specific for map travelling... but iI still prefer it. It's less 'heavy' than the one we've seen on previous screenshots. @Lucas : "Your Outdoorsman skill adjusts the overall water consumption rate" I hope that one ranger with high 'Outdoorsman' skill level give you a bonus in term of water consumption... but I hope it to be sort of cumulative : if you have 2 'outdoorsman' spécialists, ths bonusshould be higher (but not doubled), and higher with 3 specialists and a higher capped bonus if every ranger in the team is a specialist. The outdoorsman skill works for the whole group or every ranger needs to have it ? By the way Game looks awesome, Thank you guys! @barbarian_bros Isnt it a specified UI for worldmap travelling? Love the way WL2 is going. The new screenshot also shows the new look of the UI... i prefer this one, much lighter than the one used in the previews screenshots. Participate in the beta, and help make sure this game becomes what it must. Or wait until it's finished, to avoid ruining any of the pleasure of a pristine Wasteland title. @Montgomery: I loved every single word you wrote about the world map, but I'd love even more to have interesting options before an encounter takes place. I mean, things like: bribe the riders, intimidate them, set an ambush, hide your rangers, etc. Contextual options would be even better. screenshots (+ UI) and character portraits look awesome, i am sooo looking forward to holding the game box in my hands, umpacking it, installing it and going on an adventure, w00t! Looking good. Keep up the good work, guys! This all sounds well and good, but I was left wondering how exactly does your group composition play into this survival aspect? For example, it makes sense that if you have an outdoors specialist his knowledge benefits the whole group almost as well if they all had good understanding on survival skills. He tells which moss to squeeze to get that vital drop of water or what herb to rub on an abrasion to alleviate the pain. For speed on the other hand this kind of thinking no longer makes sense. Having Usain Bolt on your team can't possibly make the obese nerd you keep around for his tech skills run faster. I suppose you could use the group average for any one of these variables but that seems a bit cheap. I'd like some elaboration on these, please. I like the way the world map looks. Will we be able to switch to a local map at any point, or only at locations or encounters? Crap. That is a much better update for Wasteland 1 than I would have hoped for. 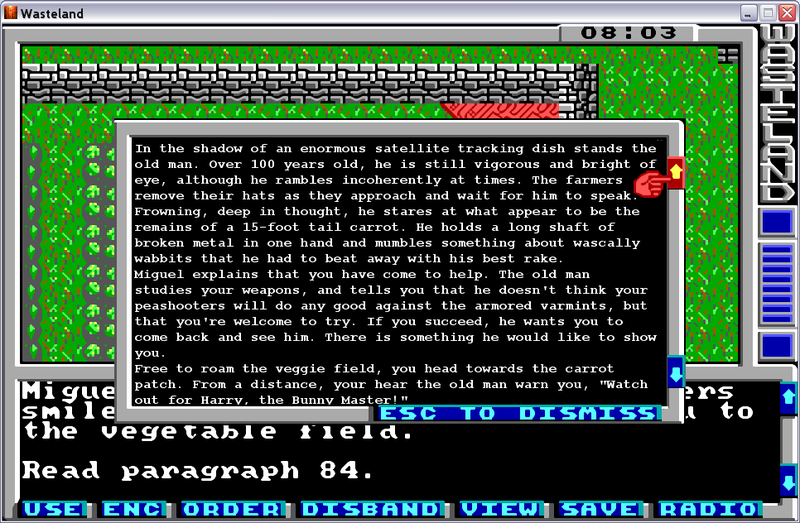 I was expecting the standard DOSBox fare. I was thinking of waiting and seeing if someone would port the entire WL1 scenario to WL2's engine, but that may no longer be necessary. >>No level scaling thank the gods. Yes, 100x this! I love to be able to go places and completely wipe the walls with enemies, and, in other places, get completely torn to shreds. Area-based scaling = good (and sensible), player-level-based scaling = lazy. I've always been a sucker for inventory/resource conservation, so I like the sound of dehydration management. However, I do agree with several other posters that it should be optional, as a lot of folks don't enjoy that sort of mechanic at all. Smoothing over pictures always look worse than the most half-assed of efforts. You had me until dehydration/water management. Sorry, but I can see that sucking the fun out of the game quick. I have NEVER seen a single game that implemented a FUN resource management and I seriously doubt W2 will be it. This is right up there with stupid timers, they just are really bad. It crosses from fun to annoyance. If it is in, please make it OPTIONAL so we can turn it off. Paragraph voice overs? Sweet. I am so going to play the game again. I haven't exploded anybody like blood sausages since I owned a C64. Might I suggest a device you can find somewhere along the way which extends your dehydration time by converting your party's pee into drinking water, Costner style? This is the time we've all waited for so long... Best update ever, indeed. I am SO FREAKIN' EXCITED!! Great update folks! You forgot dying of waiting. I'm not the biggest fan of that uprezzed portrait, to be honest. I think it's super cool that you guys are going through the effort to bring the original up to speed though. Having those integrated paragraphs is going to be great. Any chance that we'll still get a paragraphs pdf with the original so we can still read the ones that aren't directly relevant to the game? So excited with a Storm of Zehir style 3d map (It's what I wanted and posted about on the forum) as that to me seems a great improvement to fallout/arcanum style and it hasn't been used enough to get blah yet. @Josh Moody We "fog of war"-ed it so that we could avoid spoilers for our backers. This looks amazing. Super excited. One thing I'm concerned about is the "fog of war" on the 2d map though. I'd get fog on the 3d map, and a "blank canvas" on the 2d map, but I'd expect the 2d map to be somewhat filled in with details (high level details like "needles here", "vegas here") but otherwise be blank - especially if this is a map that has been handed down to me from ranger to ranger. No level scaling thank the gods. Any idea when the beta will be available? Weeks? Or days? The rest of the update sounds extremely exciting, though. Can't wait for the live version. Fantastic update. I can't wait to check out the beta. "[...] significant sections of the map are side exploration opportunities." THANK YOU, thank you, THANK YOU, thank you, THANK YOU, thank you, THANK YOU, thank you ...!!!!! I so very, very LOVE "side areas", and the alinearity (or at least, illusion thereof) that they can create. Wow! Thanks for the WL1 fix-up. I've played it using dosbox, but I am inspired to play your new version when it's available. Nice not to have to flip back and forth between a pdf and the game. please please please bring map location randomization for sake of re playability! Dehydration eh? I was hoping for food and the like as well. Maybe they just catch lizards and rats as they go?